Harefest in Canby has added a fourth day, open to attendees of all-ages, that will benefit the Children's Cancer Association. 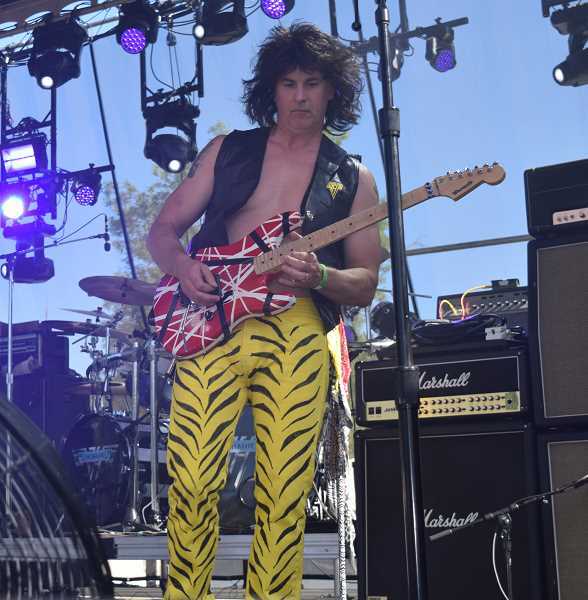 Harefest for all will be Sunday, July 15 at Pat's Acres in Canby and will feature regionally renowned Journey, Def Leppard, Bon Jovi, Pearl Jam, Heart, and The Cars tribute bands. "Now that we are in our eigth year and Harefest is firmly established, we have the opportunity to spread our wings a bit and not only add an all-ages day, but also serve the community by donating a portion of every ticket to the Portland-based Children's Cancer Association," said festival co-producer Jason Fellman of J-Fell Presents. This new event includes the most popular features of the Harefest event, including the photo stage (a smaller version of the main stage specifically for photo ops with and without the festival performers, big hair station where ticket holders can get a professional '80s hair-styling, northwest food and drink vendors, and kids' activities such as face painting, henna tattoos, balloon artist, and even a ferris wheel. An added feature that is not available at Harefest is go-kart racing as Pat's Acres Racing Complex will be open to the public during the event (subject to age/height restrictions). "We are honored to be chosen as the beneficiaries of Harefest as we wholeheartedly believe music is a powerful medicine," said Regina Ellis, founder and chief joy officer, Children's Cancer Association. "We are delighted by the generosity and look forward to sharing the experience with the kids and families at Harefest For All." Prices: Adults (ages 18+) $40, Kids (Ages 7-17) $20, Children (6 and under) are free, Family 4-Pack (2 Adults + 2 Children) $90.